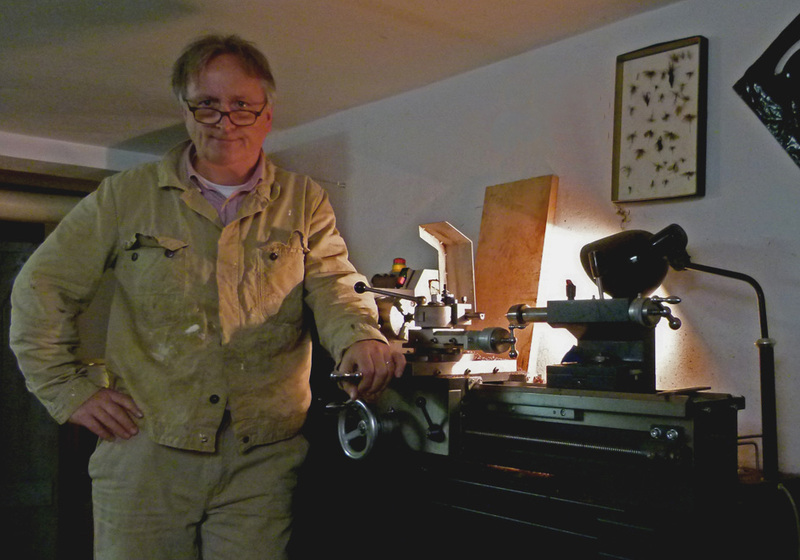 "I`m proud that I was mentored in the art of making authentic Edward vom Hofe reels by the late reelmaker Joe Jancurias of Rochester, N.Y. With his outstanding work and research he has revived and saved the old-fashioned know-how around these reels. For a period of more than 3 years he shared his expertise with me. I will continue to to make reels which are as close to the originals and as close to what I was taught as possible. At the moment I`m working on a small batch of "Peerless" size one reels. Since I`m not making reels full-time, my output is extremely limited. My prime objective is to keep up the tradition of the finest American fly reels and save the know-how for the future. Here you can see some samples of my Edward vom Hofe recreations and "field-tests" of another "Peerless" and my first "Perfection"